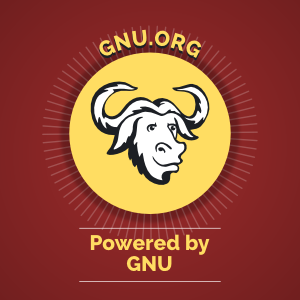 GNU World Order is an internet audio show about GNU, Linux, UNIX, and other technical and geeky topics. We release in open source audio formats. Voted best Linux podcast of 2018 LinuxQuestions.org users. Leave your ad blockers on. New to Linux? Start here, and then try out OpenSUSE, Fedora, Ubuntu, or Slackware. So you wanna try Slackware? Well, you're in luck! this special episode steps you through everything you need to know. Are Flatpaks and Snaps a regression in security? and other exciting listener debates. Plus some listener feedback about getopt and getopts, bzip2, good bad sound, and more. Let's build a flatpak together! Listener feedback. GNU World Order is voted best Linux Podcast of 2018 by linuxquestions.org but fame is fleeting, and it is no longer 2018. Bzip2 compression. You should run bzip2 compression tests and send Klaatu your results. Controversy over scripts that download and install automatically. A bakery that runs on Emacs and PostgreSQL. Further Grav commentary. Pico CMS. And more! After the coffee break, Klaatu covers kill. Because he recorded this episode on the same night as the previous episode, he does make reference to some settings from the previous episode (specifically, a hostname setting). That makes this episode a sequel to the previous one, meaning Klaatu owes you an extra episode sometime. Heaps of listener feedback about licensing, the difference between a user and a developer, the atool archive tool, old GNU World Order shownotes, the first couple of applications from util-linux: dmesg, findmnt, hostname, more. Coffee across the globe. From the a package set of default Slackware packages: udisks, udisks2 (udiskctl), unarj, upower, usb_modeswitch, usbutils, and the utemptor interface to utmp, btmp, and wtmp. Udisks is a friendly interface for interacting with drives. Episode audio levels adjusted, Flatpak tips, and three great coffees in downtown Raleigh North Carolina. Finishing up the applications-that-start-with-"t" from the a set of Slackware: time (not the built-in Bash one) and tree. Webhosting.coop vouchers, THE CLOUD is just a virtual computer on somebody else's (or your own?) cluster of computers, building dependencies on things you already own. In the t packages in the a set: heaps of tar tips, and some thoughts about tcsh. Deep thoughts about licensing, effective licensing, and why groups of free software developers haven't the luxury of turning a blind eye. Tech talk, licensing, ZFS, and more. Klaatu talks about software licensing as related to ZFS, and then covers the S section of the a package set in Slackware (he also realises mid-way through that he had already covered the q and r sections and part of the s section, but nobody complained about it, so presumably they were all worth a second look). Klaatu installs ZFS and creates a ZFS USB drive. Continuing his review of all packages installed with Slackware, he talks about reiserfs and rpm2tgz. Finally, a thoroughly biased unbiased review of the amazing webhost cooperative, webhosting.coop. Lister feedback, a new book, Lua, Luarocks, and much more. Season 13 begins! We have switched to a fancy new hosting provider, Webhosting.coop, a cooperative web hosting organization run in part by Josh Cox, a long-time supporter of the show. Introductory episodes about Linux and Slackware have been posted. If you're new to Linux, start with these episodes!. In this episode, Klaatu reads some listener feedback, and then ponders why we don't just build open source on Windows or Mac. 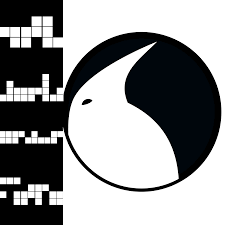 A bonus episode to get you through the holiday: solo gaming and a neat adventure game engine called Twine, plus a review of 10 randomly-chosen lightweight distributions. A review of 2018 and open source, including the Purism laptop, Eelo, Proton, Krita, GIMP 2.10, Appimages and Flatpak, and lots lots more. Believe it or not, there's more discussion about ZFS in this episode. (Klaatu has, oddly, completely forgotten that he's actually running ZFS on OpenIndiana, and has been for months; more on this next month). Also, switching from Thunderbird to KMail. More listener email about ZFS. Noise music. More about workflows, and how to find the right application for your task. Linux has lots of creative apps, but how do they all fit together? That's obviously a big question with lots of different answers, but in this episode, Klaatu provides a real world example of the different applications involved in publishing a tabletop card game. Listener feedback about otters and ZFS, and Klaatu tries Steam Play and the Proton (WINE) layer. SMART monitoring tools: smartctl and smartd. Also, why Klaatu has left JFS for good and is adopting that fancy new file system, EXT4. A history lesson from some great listener feedback, social speculation, and a review of slocate. Coffee with lunch, and how to correctly set the default entry in GRUB 2. Listener feedback, and learning new things. Also, musings about sweet tea, because technically Klaatu is in the American South, at the All Things Open conference, right now. Some tips about gamepads on Linux, plus an overview of Antimicro. Also, Microsoft joins the Open Invention Network and brings its 60,000 patents along with it. Could this mean fancy things like native NTFS and exFAT support? the end of patent trolling? Klaatu speculates. A quick episode about broadwayd, which is not a musical venue, but a cool display server that runs GTK3 apps in a web browser. Listener email, and some pretty neato POSIX tips. Itch.io, the other other place for gaming on Linux. A review of Lutris, the open gaming platform. Also, thoughts about learning new technology, based on Klaaut's experience with Fossil, compared to Git. Klaatu reviews Jeff Bigler's blog post from 22 years ago about the communication gap between nerds and "normal" people. A sed tip, a killall comment, Steam rumours confirmed, and the woeful 90-10 problem. Fedberry, the latest Fedora remix for the Pi 2 and 3. Also, rumours about Steam OS shipping with a compatibility layer so you can play Windows games on Steam OS. The rumour mill spins faster than this show's release schedule, and apparently Valve has confirmed that it is going to ship a boosted version of WINE in SteamOS. Quota, rpm2tgz, sdparm, sed, shadow, and shar. A quick Git tip for tagging releases in an automated way, and some responses to listener feedback. Listener feedback, Slackware donations, and musings about how the modern Internet is financed. The art and science of software evaluation. Bonus episode! 25 reasons to try Slackware on its 25th anniversary. Slackware packages in the a package set. In this episode, OpenSSL, osprober, patch, pciutils, pcmciautils, pkgtools. 8 reasons to use Guile from listener @ixn, and a little bit about packaging up a kernel upgrade on Slackware. A buncha listener feedback, with a few tips and tricks, courtesy of you. Seven reasons you should be using Lua. Procedural programming and anonymous functions. See Lua for Python programmers for examples. Arrays, lists, dicts, and arrays-of-arrays are out. Tables and metatables are in! The the LÖVE game engine. Listener feedback from Brian, blu3r4d0n, and Josh. A bunch of stuff about Github, Microsoft, trust, and free software. You can push to both. There are a few ways to implement this. Listen to Klaatu's HPR episode on the subject for more options. Here's a howto for nmcli. From the a set of Slackware: maketag, mcelog, mdadm, minicom, mkinitrd, mt-st, mtx, (n)compress, and ntfs-3g. How to reduce the size of bloated PDFs. Use this tip judiciously, as it does lossy compression of PDFs, but it might be useful in some cases. Also, pointless Slackware predictions and another LVM tip. F-f-f-Flatpak! an uncomprehensive first impression. Use LUKS for disk encryption. You can even use it to encrypt thumbdrives. It's easier than you think! A tour of LVM. This show covers setting up LVM manually, which can be useful since often LVM is setup magically during installation. Hopefully, this overview will clarify what LVM does, what it's capable of, and how you can interact with it. # echo "warning, this ERASES everything on this drive." warning, this ERASES everything on this drive. That was setting up the drive. Your first actual LVM command creates a storage "pool". A pool can consist of one or more drives, and right now it only consists of one, but hey you have to start somewhere. In this example, I call my storage pool billiards but you can call it anything. So now I have two "drives" carved out of my storage pool, but neither of them have file systems on them yet. So, create a file system on each. Klaatu continues his tour of all the little packages that are installed on your Linux box. In this episode: JFS, kbd utils, kmod, less, lha and lrzip compression showdown, libcgroup, libgudev, lilo, logrotate, and LVM. I'll probably cover this, along with LUKS, in the next episode, but since it was mentioned, here is how I install the OS on a single LVM-enabled drive, and then add more drives with LVM later. Partition your un-used hard drive. Assuming you have only two drives in your machine, let's call the first /dev/sdX and the second /dev/sdY (in reality, the values are probably sda and sdb, but to protect you from copy-paste disasters, I use placeholders). For the sake of this example, let's say your drive is 1200100MB (1TB) in size. Flag it as an available entity in your storage pool. OK, so we have a volume group called storage. Currently, we happen to know that storage contains only your first drive; the one that you installed your OS onto. But you want to make that bigger by adding a second drive to it. This is called extending your volume group. Now we have a pool that has access to two partitions, but we are still not actually using the second partition. A volume group contains logical volumes, and it is to those volumes that you can add disk space by drawing from the available disks in the group. That would, as you can probably guess from the command itself, extend the logical volume containing your home folders by 999Gb. Well, almost anyway. It has extended the space available to the logical volume, but it has not actually stretched the file system across all that new space yet. Your home directory is now nearly 2TB in size, and the fact that the file system spans two separate physical volumes is entirely transparent to the OS. Why should you use open source for your next project? Klaatu tells all! Klaatu installs NetBSD on a Raspberry Pi rev 1. Klaatu attempts to kill its FFS file system LIVE ON AIR. Long story short: you should go install NetBSD on a Pi. Learn how to use Slackware tag files to customize a Slackware install, plus the secret of how to perform a Slackware install in less than half a gigabyte. Exploration of the Slackware install set continues with inotify, some install scripts, ISA plug-and-play, jfsutils, kbd, kernel packages, with a few detours into the world of gzip redirection, some stuff about grep, and a howto on compiling the Linux kernel. Klaatu gushes over Porteus, the portable Slackware distribution. Klaatu tries pkgsrc on Slackware, and you won't believe what happens next. But to sum it up: it's super easy to implement, easy to use, and pretty nifty. A bunch of listener feedback. Hear about old time sci fi internet shows, runtimes, and much much more, not the least of which is an open source audio converter powered by LibreOffice spreadsheet. We hope you find this episode useful. Useful for listing just directories, and getting around the annoying habit of ls *, which returns the files in sub dirs. find . -iname "*.wav" -type f -o -prune "./foo"
The mtime option allows you to limit a search to files older than, but also files newer than, some value * 24. It's great for when you bring up a new service that's logging something but you don't know where. Usually I throw in the -maxdepth option to limit the search depth. Use the ipath or iwholepath to scrub a path for a string. Then there's this type of construct for tools like ffmpeg and xmlstarlet that don't love wildcards from for loops. Note: locate and updatedb use find in the background. Klaatu, whilst stranded in a hotel somewhere in middle America after a delayed flight, reviews his new InkBook Classic 2 ebook reader, which has replaced his broken Kobo n905. Klaatu expounds upon xargs and talks GNU parallel. Also, a bit about the concept of runtimes. All about the GNU xargs command. A bonus episode this week. Klaatu talks about getty, agetty, inittab, gawk, and more. Klaatu talks about BeOS, Haiku, elvis, e2label, mlabel, and much more. Either next week or the week after, let's do an episode on find. Send Klaatu your cool find hacks! Klaatu introduces his podwrite tool, his custom toolkit for publishing this show and his Chronicles & Commons show. Klaatu continues his tour of the low level Linux filesystem, covering exciting commands like attr, the GNU coreutils, infocmp, and more. Linux user, know thyself. It's a new year and a new season, and the GNU World Order is now officially an Ogg Vorbis and Opus cast. Although there is no speex feed now, there is no need to update your feed. The old speex feeds are symlinked to the new Opus feed. In this episode, Klaatu takes a look at all those little files that get installed when you install Linux, like libgmp, libglib, libgobject, libpanel, libusb, and many many more.